Blue Star Families for Obama! 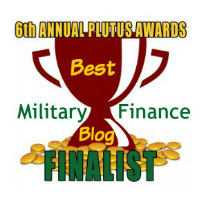 I am a proud Blue Star wife and Gold Star sister-in-law, and I am also an active member of Blue Star Families for Obama (www.bsf4o.com) I firmly believe that Obama is the BEST choice for our next Commander in Chief. Obama is my choice for several reasons. First, he volunteered to serve on the Senate Committee on Veterans Affairs (McCain has never served on it in his 26 years). Obama has an excellent voting record on military and veterans issues, and he co-sponsored the new G.I. Bill (McCain failed to show up to vote because he was in CA doing a fundraiser, AND he campaigned AGAINST it). Obama and his wife Michelle have taken the time to listen to military families and to develop concrete plans to offer support to military members and veterans. But don't just take my word for it. Look at the Congressional record. Visit Iraq and Afghanistan Veterans of America (www.iava.org) where Obama was rated a "B" and McCain received a "D" based on legislative activities supporting our troops and military. 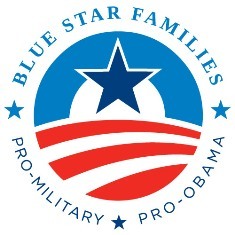 Visit the Blue Star Families for Obama website (www.bsf4o.com) to get even more facts and links showing why Obama is the BEST choice for our next Commander in Chief. Comments for Blue Star Families for Obama! DO YOU KNOW THE REAL OBAMA? I'm sad to know that you have failed to read and study the truth about Obama's life and his ACORN associates. But most of all, his lifelong neighbor, friend, fundraiser -- the man who says he has no regret for any of the terrorists' threat, for bombing the Pentagon(MILTARY HEAD QUARTERS), White House -- Mr William Ayers. Please read some informing messages on this site if Family Matters to You. I would like to put a thought out there we are supposed to be ONE NATION UNDER GOD!!!!!!!!!! Obama with 85% of his Fundraising has come from Gaza, Afica, Oprah who denounce Christianity, Mr.Ayers, ACORN etc. This is not hearsay. Search it out yourself!! Of course Obama is saying and visiting the people he knows that would be his hardest competition to win over. This World needs Change but The Change Obama is Offering and his secret agenda will be the Cost of American Life. Pray, Seek and ye Shall Find as the Bible Says. 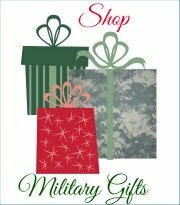 I have family across in the Military and they are our heroes.